Sandy Fussell tells us about her 2017 book discovery today. 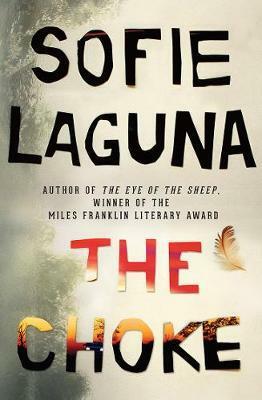 My 2017 Discovery Book is The Choke by Sofie Laguna, although to be honest, it’s more of a discovery trail that began in 2009 when I spotted the cover for One Foot Wrong in a bookstore. I read the blurb and was hooked. A few years later, I read The Eye of the Sheep in August, and even though there were still four months of the year to go, I told everyone, even Facebook, that it was my favourite book for 2014. When it won the Miles Franklin the following year, I smiled a lot and said, “I told you so” whenever I thought I could get away with it. 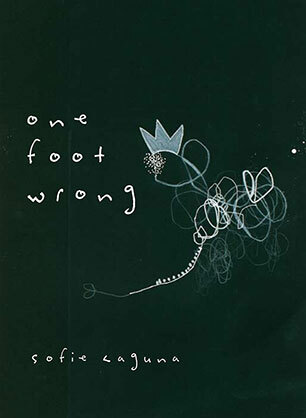 Even though I write for children, I’d never read any of Sofie’s children’s books. So, I began to search backwards. There were lots of discoveries then. 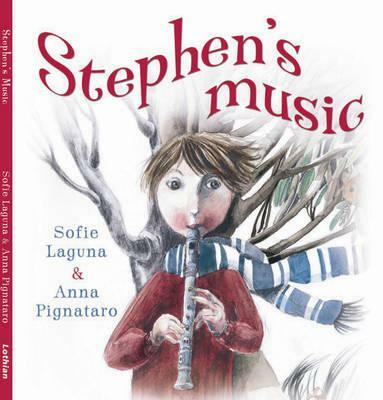 I was lucky to discover a copy of the out-of-print picture book Stephen’s Music, in a Canberra second-hand bookstore. It’s another favourite. Sofie has a magical way with words. For me words have always been a form of music. In Year 6, I asked for The Complete Works of Shakespeare for my birthday. Not because I was smart, in fact, I didn’t understand much of it at all. I just liked the music the words made when I read them aloud. That’s was Sofie does when she writes. She makes word music. But back to 2017. As a reviewer, I received an advance copy of The Choke. It sat on my desk for a while because I wanted the luxury of reading it in one sitting. Most of my reading is very fractured, wedged into slivers of time in between things I’d rather not be doing. For Book Week, I had a school visit that involved two-and-a-half hours train travel each way. I don’t mind that. It’s not travel time, it’s reading time. I read The Choke, all the way from the South Coast to Hawkesbury River Station. The Choke is the story of ten-year-old Justine, who lives with her grandfather, a damaged veteran of the Burma Railway. The name of the book is a reference to a place on the Murray River where the banks narrow. Large chunks of my own childhood were spent on a narrow section of the Nepean River, with my sister and the girl next door. I would sit and read (no surprises there) and the others would fish, and we’d explore a little north and a little south. It was innocent fun. But for Justine, The Choke is place where good and evil happens. Some parts of the story cut close to my bones. The isolation of being different and wanting different things with no-one to understand or help clear the obstacles. Recently, I read an interview where Sofie spoke about visiting the thin part of the Murray, how it always floods but the gums still grow under the water, like Justine does. Ultimately Justine’s issues were darker and more violent than my experience, and the story hurt on a level deeper than what I brought to it as the reader. When I got to Hawkesbury River Station, I had one page to go. I’m always early for appointments so there was time to sit in the morning sun and read through to the end. And when I’d finished, I took a deep breath, and everything I’d read overwhelmed me. I was sobbing. Not crying. Sobbing. So, here’s why The Choke is my 2017 favourite Book Discovery. Adult books told through a child’s eyes always resonate with me, the language is beautiful, and the narrative is heartbreaking. Absolutely gut-wrenching. Magnificently written review by Sandy Fussell. Now I will read Sophie’s ‘The Choke’. Previously I had avoided it because of the title, which implied violence to me.